Metro is going back to the drawing board in its grand plan to convert the Portland area's food scraps into renewable energy, after failing to come to terms with Waste Management to build a processing facility in conjunction with the Portland sewage treatment plant in North Portland. In January, Metro named Waste Management its top choice among six companies responding to the regional government's request for proposals, and the two spent the good part of a year in fruitless talks trying to agree to contract terms. The two parties couldn't agree on the price Metro would pay to Waste Management and the company's requested guarantee of a certain amount of food scraps needed each day to make the project pencil out. "It came down to price and guarantee of tonnage," said Paul Slyman, Metro's director of property and environmental services, who led the negotiations. Metro particularly balked at what's known as a "put or pay agreement," in which it would have to pay Waste Management a fee if it didn't supply the agreed-upon flow of food scraps for the project. Metro announced the deal was dead earlier this month. Metro won't seek a deal with the next-highest-ranking proposal among the six, by Wilsonville-based SORT Bioenergy, Slyman said, because "it was significantly more expensive than Waste Management's proposal." Waste Management would have been able to do the project more cheaply by piggy-backing on existing anaerobic digesters at the city's Columbia Boulevard Wastewater Treatment Plant. 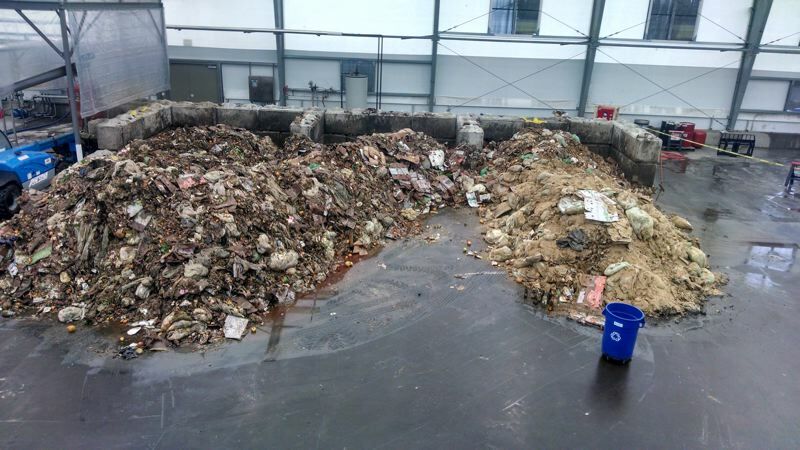 Waste Management proposed to turn the food scraps into a bio-slurry in a facility not far from the city plant, then truck the slurry to the sewage plant's existing digesters to convert it to usable energy. 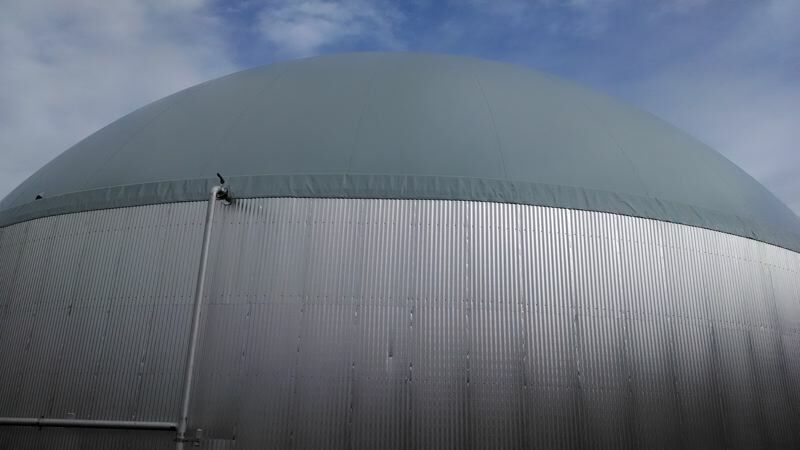 The city Bureau of Environmental Services, which runs the sewage plant, would then make money by selling the resulting biogas to NW Natural. Jackie Lang, a regional spokeswoman for Waste Management, said the Houston-based company is disappointed the two parties couldn't reach agreement. "For Metro, it represented a breakthrough opportunity for sustainable leadership involving the recovery of food waste," Lang said. Waste Management has successfully pioneered its innovative technology elsewhere, and touted its plan as being the most efficient, because food scraps collected in the Portland area would be processed in Portland, in contrast to the current system, whereby food scraps are trucked some 100 miles to a biodigester in Junction City or composting facilities in Aumsville or Adair Village. "Our proposal was for a local solution with an incredibly small carbon footprint, because we weren't going to be hauling material 100 miles," Lang said. Metro is keen on recycling or reducing food scraps because they constitute roughly one-fifth of the garbage the region currently sends to the landfill in Eastern Oregon (operated by Waste Management). When that decomposes, it emits methane, a highly potent greenhouse gas, into the atmosphere. In July, the elected Metro Council passed a new mandate to larger businesses and government agencies whose operations produce food waste, requiring them to separate it from their regular trash so it can be reprocessed. The mandate will phase in over the next five years. Metro and others had argued that voluntary recycling of food scraps by restaurants and groceries had only yielded about 25,000 tons of food scraps a year, but twice that amount was needed to make a biodigester pencil out — hence the new mandate. But now Metro is changing its thinking. During the course of lengthy negotiations with Waste Management, Metro realized it might be able to do things cheaper than one large $30 million to $50 million facility in North Portland, Slyman said. Now it hopes to restart its solicitation process by seeking multiple, smaller facilities in the Portland area, that might be even closer to the source of food scraps. Metro figures those could cost one-third or even less than having one large facility, as proposed by Waste Management, Slyman said. 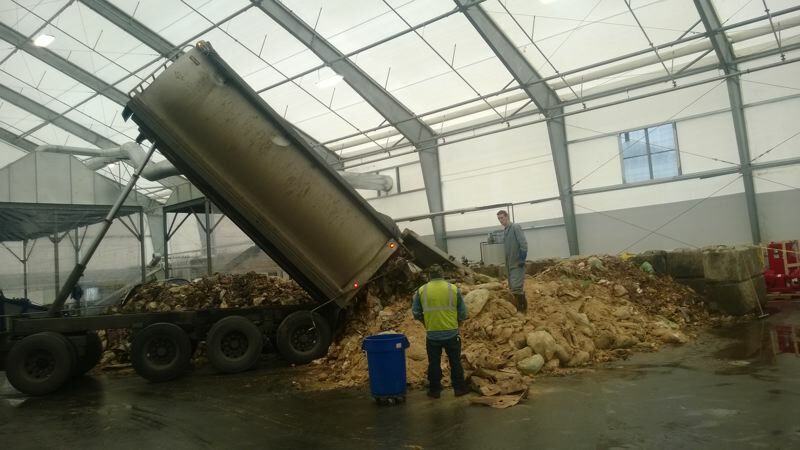 In the meantime, Metro will continue to send food scraps from voluntary programs to the state's lone plant turning organic waste into energy — the Junction City facility in Lane County formerly known as JC Biomethane. It was recently purchased by Shell New Energies, a unit of the Dutch oil giant. Or the waste will go to Recology Organics in Aumsille, near Salem; or Pacific Region Compost Facility in Adair Village, near Corvallis. Metro and environmentalists consider converting food scraps into energy a "higher" use of the material than composting it. Metro's change of heart is leaving some in the industry muttering, especially after they spent months if not years trying to craft solutions to meet the regional government's Request for Proposals. "It's frustrating to me," said Paul Woods, managing member of SORT Bioenergy, which proposed an energy recovery facility in Wilsonville, and obtained a series of permits for the project. "It just seems like the goal posts continue to move around," Woods said. "That's a little hard to hear when you invest a lot of time and resources trying to provide what they want." Metro essentially "wanted to change the rules" midstream, said another industry source who has been closely following the process. But Metro and Oregon have had a rocky history with innovative projects to turn our garbage into gold. In 1990, Metro suffered a spectacular failure when a $28 million facility built by Reidel Environmental Technologies closed shortly after it opened on Northeast Columbia Boulevard. That plant, commissioned by Metro, was designed to turn unsorted garbage into compost, using a conveyor-belt picking line and cutting-edge European technology. In 2013, a facility that turned food scraps into compost in North Plains was forced to stop taking commercial food waste due to odor complaints. Also in 2013, a proposal to build an anaerobic digester on Northeast Columbia Boulevard was dropped before construction began, reportedly due to a lack of guaranteed supply of food scraps. The Junction City project also ran into operational problems before its recent sale. The field is constantly shifting, and there are new technologies that are helping large companies like grocery stores reduce food waste, said Nora Goldstein, editor of the BioCycle trade journal in Pennsylvania, which closely follows the industry. That might have made Metro more hesitant to sign a "put or pay" deal, worrying the supply of food scraps may drop, Goldstein said. There may be local opportunities to have smaller, lower-cost faciities, she said, such as an idea being talked about to add an anerobic digester at the Gresham wastewater treatment plant. Slyman took pains to say Metro's decision is not a step backward, and said the mandate for businesses and governments will not be delayed. Goldstein depicted Metro's reversal as a "reality adjustment." It's far better for Metro to halt the project than suffer another failure like those that came before, she said.